Variety of fruits in the world is very varied and each has its benefits as well as its own function, one of which is the fruit Jamblang. In Indonesia, the fruit which has the scientific name Syzygium cumini is commonly called the fruit Jamblang or Duwet. The fruit is a fruit typical of the plains of Asia because it can only be found in some specific countries in Asia, one of which is in Indonesia. Jamblang fruit, a fruit that is rich in a wide variety of nutrients such as ellagic acid / ellagitannins, anthocyanins and anthocyanidins that has inflammatory properties. Besides the fruit also contains antioxidants which can counteract free radicals and also the cholesterol in the body, so it has a big contribution to reducing the risk of stroke or heart disease. In one piece Jamblang contains various substances that support the growth and health. These contents are calcium, iron, potassium and vitamin C, which serves to maintain immunity and increase bone mass and strengthen it. 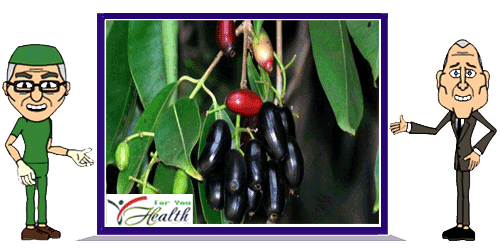 If you are a sufferer of severe anemia or low blood, it helps you eat fruit Jamblang. Because the fruit contains a lot of beneficial substances such as vitamin C and iron. Wherein the two substances are very instrumental in the formation of red blood cells in the body. Diabetes, sata is true is very correlated with the human life. Yes, this disease has even become a culture in society and contemporary trends. Therefore, the presence of fruit jamblang enough help in overcoming these problems. Substances contained in fruit jamblang have benefits in reducing the risk of developing diabetes because proven to reduce levels of sugar in the body as much as 30 percent. Benefits of jamblang in overcoming the cancer has been revealed by several scientific studies, in which the existence of the fruit has been brought radioprotective and chemoprotective properties that serve as an antidote to free radicals and inhibit the growth of cancer cells in the body.